A line of optical lapping pitch offered in five grades for polishing CaF2, germanium, quartz, ZnSe, ZnS, silicon and other materials is available from Meller Optics, Inc. of Providence, Rhode Island. 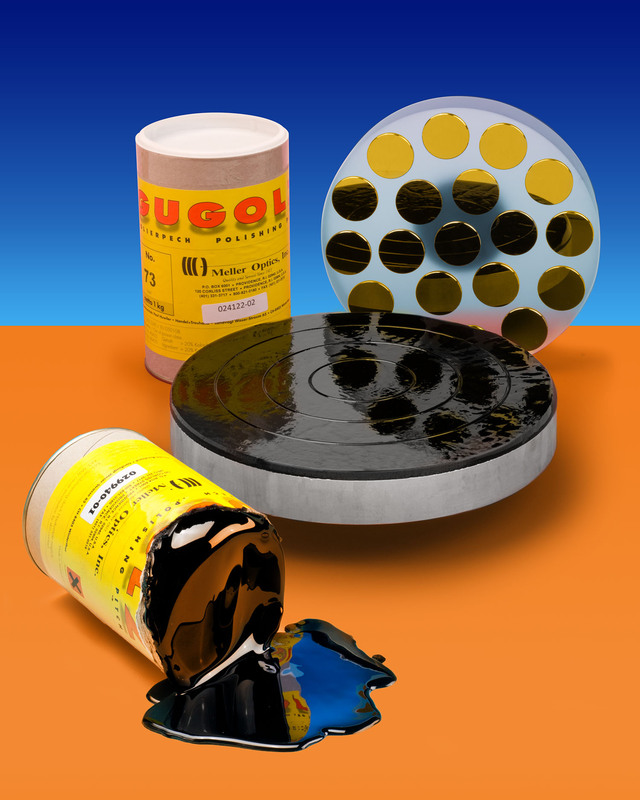 Gugolz Optical Polishing Pitch is made from all-natural wood resin, rather than petroleum byproducts, and comes in five grades from very-soft to very-hard with melting points from 52°C to 87°C. Ready to slice, melt, and pour onto the lap, users can exactly match the pitch to their optical substrates without the bother of screening, filtering, and mixing additives. Totally consistent from batch-to-batch relative to hardness and consistency, Gugolz Optical Polishing Pitch helps prevent contamination of the polishing media and substrates because of its all-natural wood resin composition. Suitable for blocking, lapping, and polishing, all grades are compatible to permit mixing for custom hardness applications. Gugolz Optical Polishing Pitch is priced from $21.00 to $27.00 per 1 kg. container; depending upon quantity, and is available from stock.